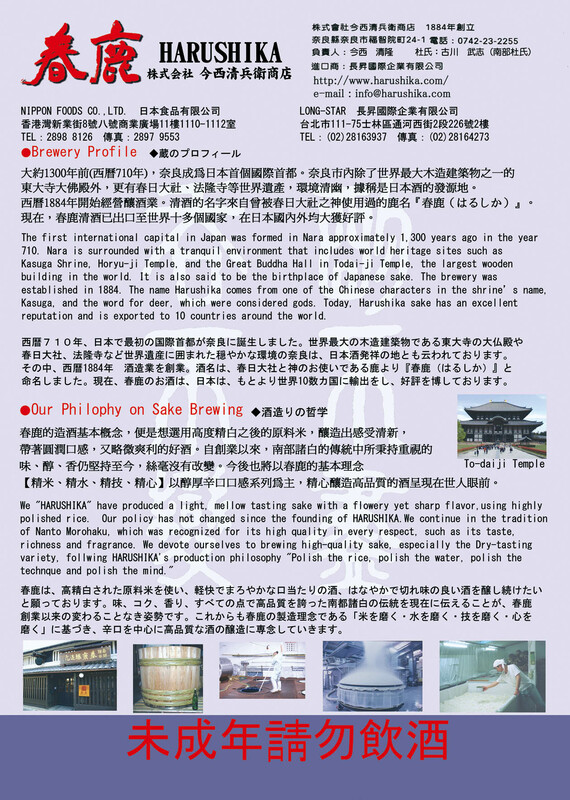 The first international capital in Japan was formed in Nara approximately 1,300 years ago in the year 710. 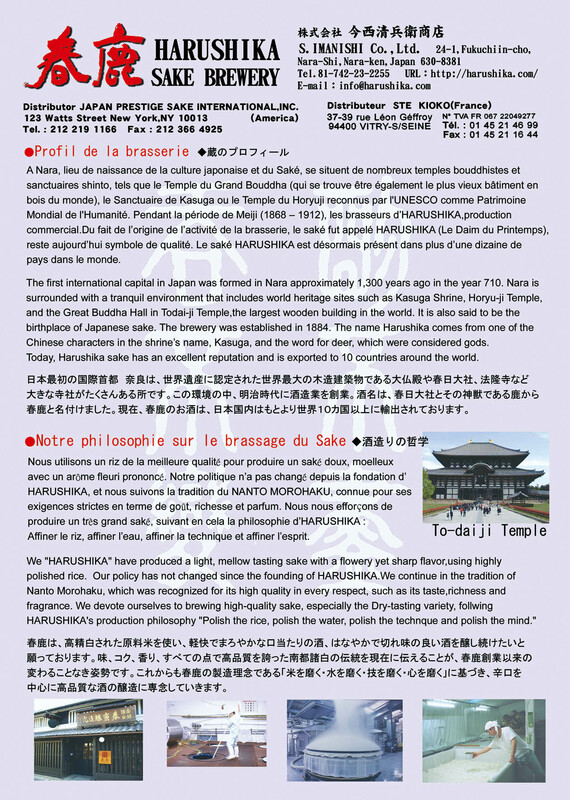 Nara is surrounded with a tranquil environment that includes world heritage sites such as Kasuga Shrine, Horyu-ji Temple, and the Great Buddha Hall in Todai-ji Temple,the largest wooden building in the world. 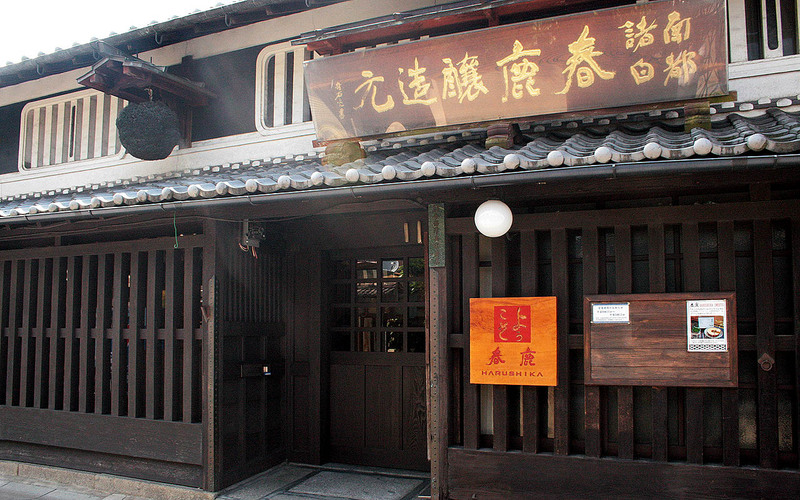 It is also said to be the birthplace of Japanese sake. The brewery was established in 1884. The name Harushika comes from one of the Chinese characters in the shrine’s name, Kasuga, and the word for deer, which were considered gods. 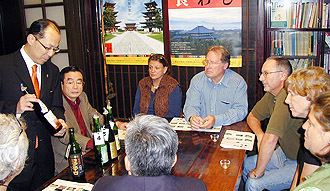 Today, Harushika sake has an excellent reputation and is exported to 10 countries around the world.